10 Healthy Tasty Snacks for the Busy Gal on the Go! It must be one of the things that really comes up more than just about anything when it comes to how to eat right, effortlessly and actually enjoy the process! You know, that thing you’re supposed to do in between meals so you keep cravings at bay, blood sugar stable, and metabolism a-kicking? So without further ado, here are 10 of my fave healthy and tasty snacks for the busy gal on the go. Don’t forget that my Look Great Naked Eating Plan is your ultimate guide to how to eat right, effortlessly and finally get the body you want. It’s chock full of recipes, meal plans, how to eat, what to eat, and has 8 very very cool bonuses. 1. An organic and yummy protein shake with a small handful (6-10) of mixed nuts or any nuts except peanuts, which are a legume and therefore less ideal. 2. Cold protein pancakes! I love making these as they are SO yummy but also guilt free! Use a stick blender to mix 2 eggs, 1 scoop of chocolate or any flavour you like protein powder, a tsp cinnamon and a tablespoon ground flax or shredded coconut. Cook in well heated coconut oil and enjoy for breaky or cold as a snack. 3. Cabbage or lettuce sushi. Super easy! Simply roll smoked salmon up in a big green leaf. You can pre-make these and bring with you wrapped in foil or in a Pyrex container. 4. Boiled eggs with a spoon or two of nut butter. Romantic and fancy? No. Simple and effective and tasty? Yes. Pre-boil the night before to make it easy. Pre-peel if that helps! Peel and chop first onion into little squares. Chop the second onion into rings, and set it aside in a bowl. Chop your basil and sun-dried tomatos into smallish pieces. Using your hands, mix all of the first batch of ingredients except the coconut oil. Form the mixture into patties, and fry for a good 3-4 minutes each side (in hot coconut oil), over a medium to hot heat. 6. Chia pudding. One of my favourites when at home although you can also bring out with you in Pyrex. Simply mix a tablespoon chia seeds with 1/2-3/4 cup full fat Greek yoghurt. You can add a tsp of raw cacao. Leave to set in fridge for 20-60 minutes before eating. 8. Cold leftover meat or sausages with a handful baby spinach/olives/tomatoes. Or whatever else you have handy at home. Bring it in a small Pyrex. The mini meal is the most effective snack for cravings and fat loss. 9. Split cafe meals. Meaning, if you go out to breaky or lunch ask for a take-away container and save half for later. Simple! 10. The Snack Pack. I make a snack pack for my 2-year old and one for myself each time we head out. It is basically a medium Pyrex with a bunch of any of the above things in it. For snacking! Some other things I often put in are cold haloumi, chopped raw veg, olives, a piece of dark chocolate. But always some protein either leftover meat or protein pancakes cold. 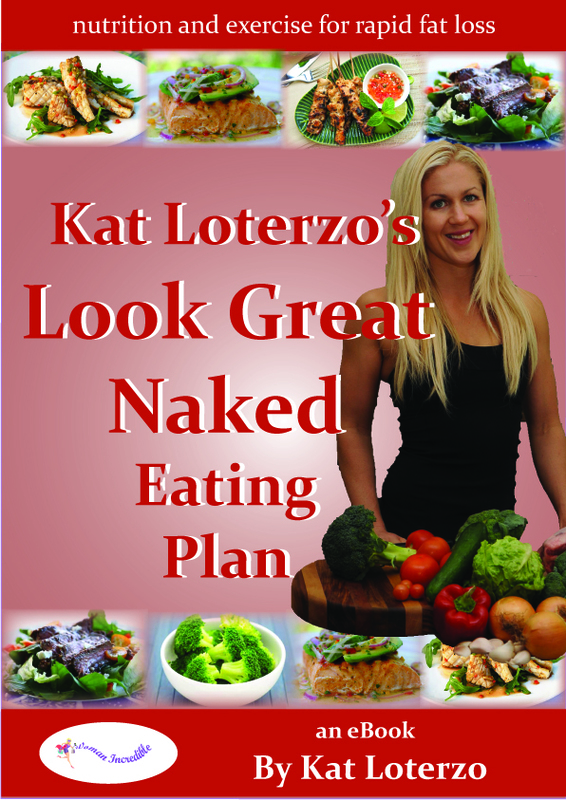 My Look Great Naked Eating Plan is Your Ultimate Guide! 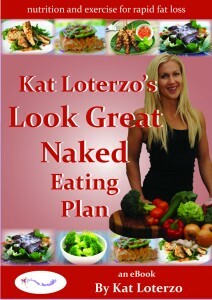 Don’t forget that my Look Great Naked Eating Plan is full of ideas and recipes for each and every meal of the day. It’s your guide to how to eat right, effortlessly and finally get the body you want. It’s chock full of recipes, meal plans, how to eat, what to eat, and has 8 very very cool bonuses. When Are You Going To Stop Living In Fear?